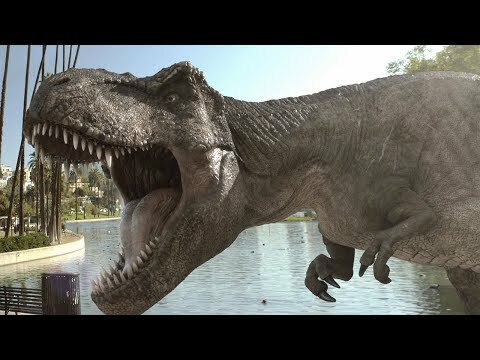 The latest "Pokemon Go" clone to be announced is Ludia's "Jurassic World Alive," which will see people "collecting" creatures in augmented reality via their iPhone. Players will locate dinosaurs on a map, and deploy a simulated drone to collect DNA samples, Ludia told The Verge. Animals in a person's stable will gain levels over time, and face off in fights against other players' beasts. Little else has been revealed about the game, other than the fact it should arrive this spring. Apart from iPhones it will also be available on Android devices. There's a strong chance the iPhone version will support ARKit, Apple's platform meant to simplify AR development for iOS. The company is currently preparing ARKit 1.5, which will let apps better situate objects in a scene, for example recognizing vertical surfaces and better coping with irregularly-shaped ones. The 1.5 update is only due alongside iOS 11.3 however, also coming sometime this spring. Pokemon Go was amusing for a few days, but then the novelty wore off. But THIS sounds really cool. I will try this. (But then I am a paleo nerd). Sounds fun! These simulated cultural artefacts seem a lot more interesting to my cultural biases than those weird anime type cultural artefacts.